I bought my FS-60C to work on wide-field shots of galactic nebulae. This is my first HaRGB combination using this setup and it worked really well! I had to clean up some blue and even green blooming of brighter stars but otherwise it was excellent. 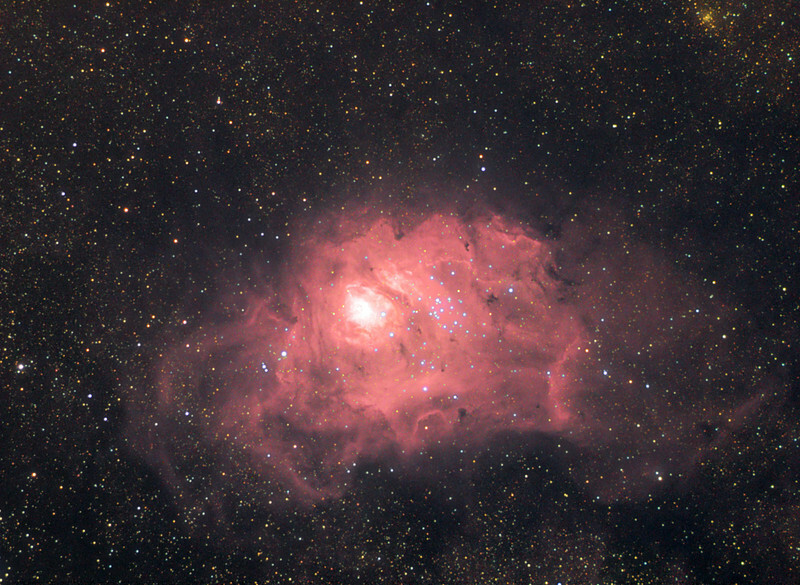 I used the ABE utility to clean up any gradients and the new ExponentialTransform function in the latest PixInsight Standard Beta to help emphasize the faint nebulosity in the image. All other processing was done with Maxim DL and Photoshop CS.